Michael Chaffee, Pegasus Global, Hobbs, New Mexico | Challenging the perceptions for our realities! 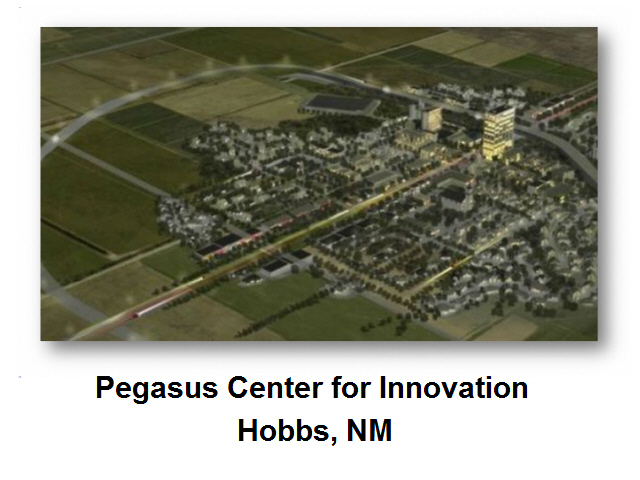 A $1 billion ghost town in Hobbs, NM (Lea, County) is breaking ground by a company called Pegasus Global Holdings. It is promoted as a testing ground for the latest renewable energy technology and terrorism security systems. The Pegasus Group is one of the largest footwear manufacturers in China for Original Equipment Manufacturing (OEM) customers. According to traditional Chinese uranography, the modern constellation Pegasus is located within the northern quadrant of the sky, which is symbolized as the Black Tortoise of the North (北方玄武, Běi Fāng Xuán Wǔ). Oh…by the way Mr. Wu Suei (the father of Mr. Thomas Wu and Mr. Michael Wu) was the founder of Pegasus Holdings, which is now based in mainland China. The Black Tortoise or Black Turtle is one of the Four Symbols of the Chinese constellations. Despite its English name, it is usually depicted as a turtle entwined together with a snake. Further, in East Asia, it is not called after either animal but is instead known as the “Black Warrior” under various local pronunciations. It represents the north and the winter season. The creature’s name is identical to that of the important Taoist god Xuan Wu, who is sometimes (as in Journey to the West) portrayed in the company of a turtle and snake. At the heart of Chinese mythology are four spiritual creatures (Sì Shòu 四獸), four celestial emblems, each guarding a direction on the compass. In China, the four date back to at least the 2nd century BC. Each creature has a corresponding season, color, element, virtue, and other traits. Further, each corresponds to a quadrant in the sky, with each quadrant containing seven seishuku, or star constellations (also called the 28 lunar mansions or lodges. Each of the four groups of seven is associated with one of the four celestial creatures. There was a fifth direction, the center, representing China itself…which carried its own seishuku. The year of the Snake (Chinese lunar year, February 10, 2013 to January 30, 2014) has come to an end but, the snake symbol according to the traditional Chinese view, snakes are carnivores that make their homes in holes, grass and forests. As they eat other animals, Chinese characters containing the symbol for “heart” are seen as lucky for Snake babies, as a beating heart indicates food! Journey to the West is a Chinese novel published in the 16th century during the Ming Dynasty (1368–1644 AD) and attributed to Wu Cheng’en. In English-speaking countries, this novel is widely known as “Monkey”. The novel is an extended account of the legendary pilgrimage of the Tang dynasty (618–907 AD) Buddhist monk Xuanzang who traveled to the Western Regions, that is, India, to obtain sacred texts (sūtras) and returned after many trials and much suffering. Journey to the West has strong roots in Chinese folk religion, Chinese mythology, Daoist and Buddhist philosophy, and the pantheon of Taoist immortals and Buddhist bodhisattvas, which are still reflective of Chinese religious attitudes today! The novel has 100 chapters that can be divided into four unequal parts. It introduces the exploits of Sun Wukong, a monkey born from a stone and nourished by the Five Elements. His powers grow to match the forces of all of the Eastern (Taoist) deities, and the prologue culminates in Sun’s rebellion against Heaven, during a time when he garnered a post in the celestial bureaucracy. Hubris proves his downfall when the Buddha manages to trap him under a mountain, sealing it with a talisman for five hundred years. Journey to the West was one of the earliest Chinese novels (1625) for which the authorship is officially documented. What is The Pegasus Group doing in America…? 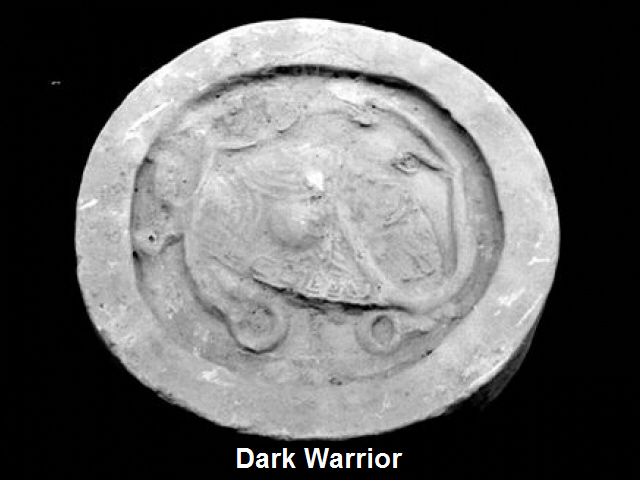 According to Anthony Christie, the tortoise and snake combination was known as the Black Warrior. And, that although the worship of the other directions was an ancient practice (Han dynasty 206 BCE – 220 CE), the worship of the north was avoided because the north was considered the dwelling place of a destructive deity of the ocean wind. However, the worship of the north was practiced, with sacrificial ceremonies to the Black Warrior, by the rulers of the Han dynasty, which claimed to rule with the protection of water and the north. Although the Black Warrior (Xuan Wu) is generally depicted as a snake entwining around a turtle, sometimes they are viewed as two separable generals. On the fifth day of the fifth month of the Chinese calendar is the festival of the Double Fifth (Duanwu). Many of the activities traditional on this holiday involve expelling various sources of potential evil influences. One of these involves driving away the Five Noxious Creatures (wu du), of which the snake is one. Other members often certain types of Chinese dragon are considered especially snakelike, such as the Teng, which is sometimes known as the “flying snake-dragon”. Some reptilians are not at all snakelike, such as the Ao (turtle). China is now constructing a follow-up flattop in the port city of Dalian, Liaoning and it is estimated that it will be finished by 2018. 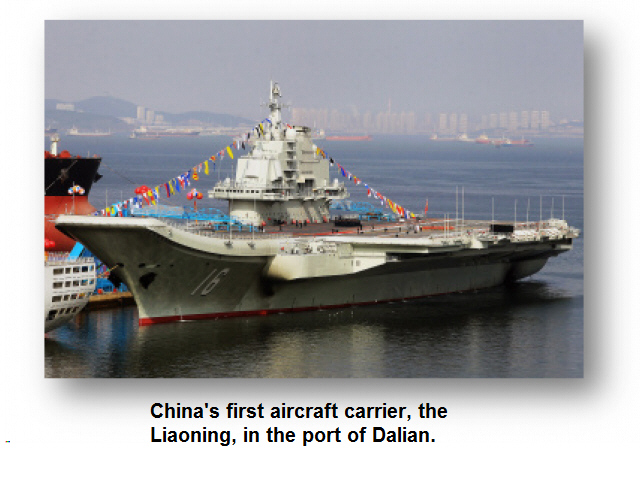 It would be Beijing’s first carrier built from the keel up in China. The People’s Liberation Army Navy wants a flotilla of four carriers by 2020. In the twentieth century, the province of Fengtian was set up in what is Liaoning today. In October 1995, Shenyang Cross-Strait Science Industrial Zone was approved to be established by State Council. Shenyang Cross-Strait Science Industrial Zone is the only zone established in Hi-Tech Industrial Zone. It has a total area of 5 km2. It welcomes all the investors from the world, especially Taiwan to invest in the zone. Investors can enjoy many preferential policies. It focuses on the development of instruments manufacturing, telecommunication, bio-pharmacy, electronics, new materials. It is an important part of Shenyang Hi-Tech Industrial Development Zone. Shenyang Hunnan Hi-Tech Industrial Development Zone used to be called Shenyang Hi-Tech Industrial Development Zone. Established in 1988, it is a national hi-tech development zone approved by State Council. The zone is located in the west of Shenyang city with 32 square kilometers. Its encouraged industries include electronic information, new materials, biological engineering, energy saving and environmental protection. 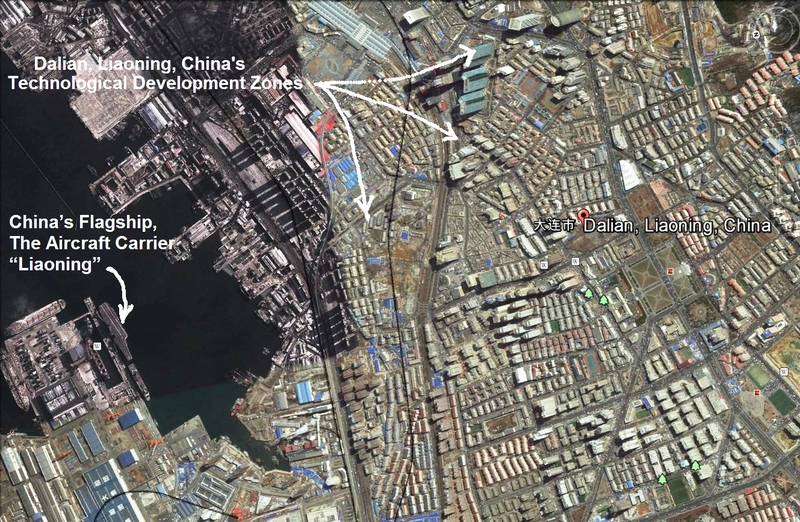 Dalian Hi-Tech Industrial Development Zone was approved to be a national-level development zone in 1991. It has a total area of 35.6 square kilometers. Inside the zone, all the infrastructure are available. It focuses and encourages the following industries: electronic information, bio-pharmacy, and new materials.